Tyler Henryis bringing serenity to Jersey this week. 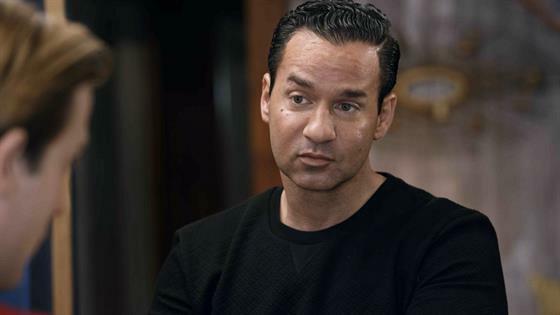 This clip from Thursday's new Hollywood Medium With Tyler Henry takes the LA-based clairvoyant to Seaside Heights, where he meets with Mike "The Situation" Sorrentino—of Jersey Shore fame—in the midst of what's been an especially trying time for the reality star and his loved ones. "I feel like, right now in Mike's life, he really needs this reading," says Nicole "Snooki" Polizzi, his former Jersey Shore costar and lasting friend, from the other room. A little more than a week before his session on Hollywood Medium, Mike was sentenced to eight months in federal prison for tax evasion. Before getting into the reading, Tyler's client gives him a little context about everything that's been going on. "This particular month, it's been very hard only because I had this situation—a legal battle in the news, which was very uncomfortable," Mike explains. But the 23-year-old medium encourages him to stay positive. "I think there's going to be opportunities for leniency to be shown. And I really think that in the long run, I'm not worried about you." says Tyler once their reading has begun. "I don't think this is going to be a world-ending thing. It's just a little bump in the road. And I feel like you're gonna get through it resiliently." "That makes me happy," Mike replies. Find out which deceased Sorrentino came through later—and hear his comforting message to Mike—in the clip above!